You can relax and have a rest. You can choose from 5 types of rooms. 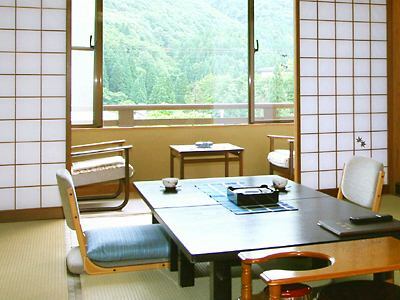 Room of 'Japanese + Western room 29 sq m' which was renewed in 2016. It is the perfect room for hospitable people. 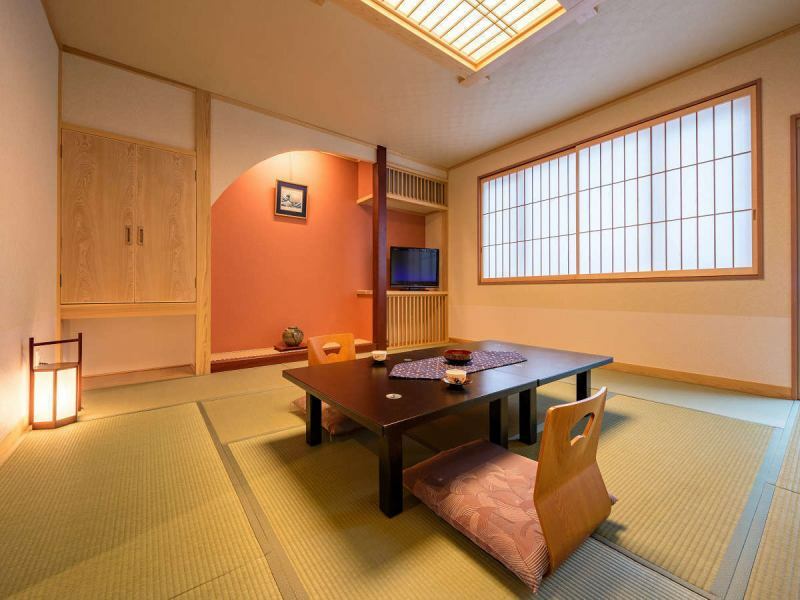 Room of "Japanese room 21 m2" which was renewed in 2016. 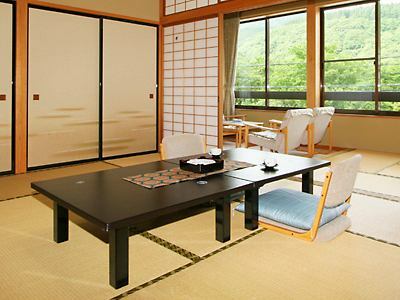 It is a room recommended for families as well as traveling with two people. 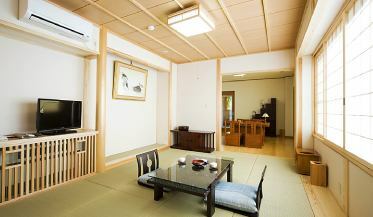 In the room there is a veranda where the courtyard can be seen, and it is healed by comfortable air of Oyasukyo. 1st floor, Second floor, ※The staircase will be used on the second floor. You can exit the veranda from the guest room. Since there is no Ischa in the room, please contact us in advance if you need high seat chairs. Since I will go up the stairs to the second floor please contact us in advance when designating the first floor. You can see the mountains of Oyasukyo from the rooms. The view from the spacious next mountain is the mountains of Oyasukyo. Two wash basins are prepared extensively, making it gentle to women's customers. ※The stairs is available for the guest room. There are two spacious washbasins and it is a women-friendly room. We have four table seating tables during the next one. ※There is no elevator only in the stairs to the guest room. Space that I want to spend with special people on a special day. 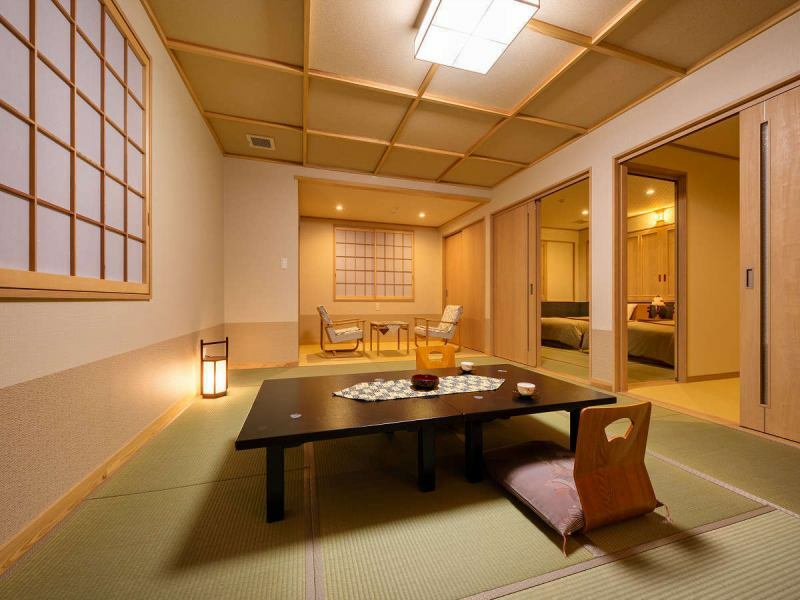 Separate type of Japanese style room and bedroom. We have reserved only one pair per day. ·Two guests dine in the in-room dining room.More than 3 people will be in a private room venue. ※All rooms in the hotel are considered non-smoking.Please use the designated place when smoking.